Setting up a new business is often regarded as a legal minefield, however, it can be both rewarding and exciting if you get it right. You may face a number of challenges while setting up your business, from ensuring that you have secure contracts to obtaining the right premises. However, none of these are far from insurmountable. As long as you are aware of your roles and responsibilities as a business owner, and take appropriate precautions to adhere to UK employment law, you have nothing to worry about. This article will highlight some of the legal issues that you may face when running a business, and ways to tackle them. Terms and conditions are an essential document that businesses must (but often don’t) get right. As a business owner, you would want to make sure that you have a legally enforceable contract to help deal with the suppliers and customers. Whilst it can protect the business against non-payment, it can also help limit liabilities towards your customers and also set out a legally compliant and clear policy for delivery, defective and returns items. While drafting the terms and conditions, you would need to ensure that they form a part of the contract with the customer and take precedence over all additional terms introduced later. You must consider that the laws here are different and therefore, your terms must be modified accordingly. Overall, your contract with consumers needs to be fair, clear, balanced, and compliant with the Consumer Rights Act 2015. Otherwise, certain contract terms may be deemed unfair and subsequently unenforceable. Therefore, you may consider hiring the services of an experienced employment law solicitor from the outset. Therefore, by registering it, you get immediate protection from any unauthorized use of your business’ identity including counterfeits. It also helps promote brand awareness and enable you to sell and license your brand. Similarly, certain ‘works’ categories are protected by copyright, like written, musical, dramatic, artistic work, music recording, sound, and films. Unlike trademarks, copyright protection arises automatically after the creation of work and does not require any formal registration. Therefore, it is important to make sure that your contracts with your staff and contractors are clear as to who retains or purchases the copyright of any work being produced. Businesses thrive if it hires the right set of individuals as employees. Therefore, hiring and clearly informing the staff about what is expected of them helps reduce the risk of work disputes and defend any potential Employment Tribunal claims. To do this, you need to have a comprehensive recruitment process along with the right employment documentation. A thoroughly drafted application form and recruitment process are essential for hiring the best people to work for you. They also help you avoid any sort of discrimination against job applicants. The right contracts can help prevent staff from stealing your important clients or business ideas. However, you will also need to have disciplinary and grievance policies in place. Such policies will help you determine your obligations to make sure that you deal with any complaints from the staff in an appropriate manner, and follow a fair procedure in case you have to dismiss someone. Getting the dismissal process wrong could not only result in an Employment Tribunal claim from the aggrieved employee but also incur additional financial penalties for failing to abide by a legally binding dismissal procedure. It is worth remembering that employment law is so much more than disciplinaries and grievances. For example, the law comprises employee rights pertaining to sickness leave (long and short-term); whistleblowing, shared parental and/or maternity leave amongst others. Therefore, having the appropriate policies/procedures will help you navigate through the intricacies of the employment law. 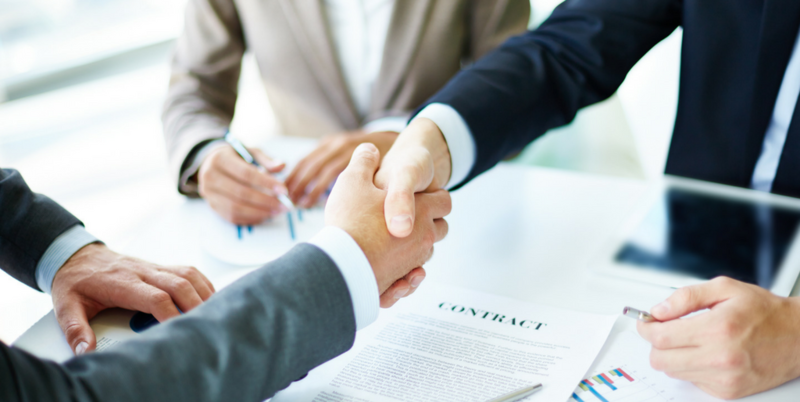 By definition, shareholder agreements are confidential private agreements between a company and its shareholders (or members if you have a limited liability partnership). Such agreements help set out an agreed framework to deal with matters that are not covered in the constitution like decision-making and management, exit strategies, dispute resolution, and remuneration. Shareholder agreements can also help protect the rights of other shareholders if someone becomes critically ill or dies. Without an agreement, it can be quite challenging, expensive and time-consuming to resolve any issues among managing partners and shareholders. Therefore, it is advisable to have a shareholder agreement in place from the outset. Furthermore, you must treat them as a living document and review them periodically to make sure that they reflect the evolving needs of shareholders and your business. As a business owner, you will have to assume a range of essential health and safety responsibilities. This includes looking after and taking care of employees, visitors and members of the public (both outside and inside your premises). You must be able to carry out a comprehensive risk assessment to identify the risks posed by your business activities, such as those arising from operating heavy machinery or working night shifts. You may have to change your working practice to mitigate these risks as far as to make them reasonably practicable and keep your employees and members of the public safe.